Physical activity can sometimes be very hard on our joints and brings a lot of pain! 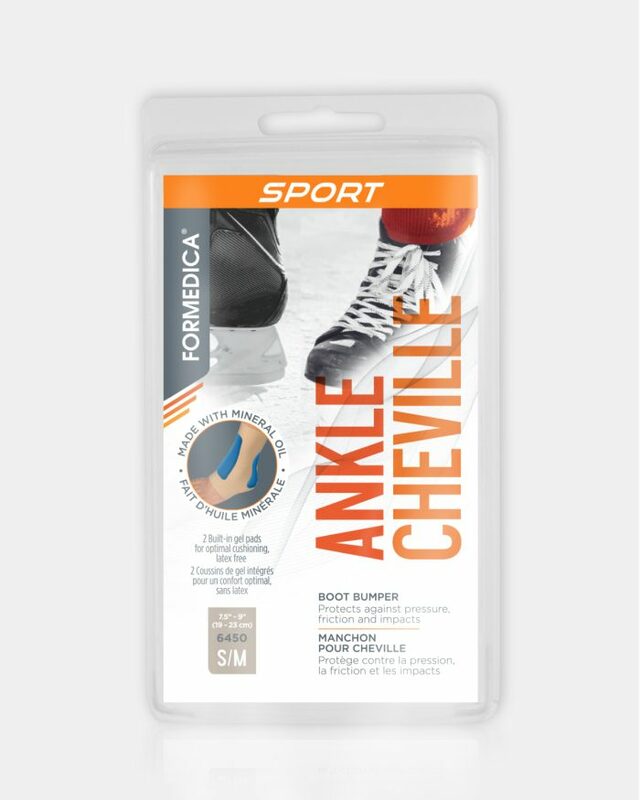 That is why Formedica has developed a complete range of high quality orthopaedic supports specifically designed to treat and prevent sports injuries. Movable compression pads for targeted pain relief. Lateral stabilizers help provide enhanced support. Make sure the FORMEDICA logo is positioned at the top. 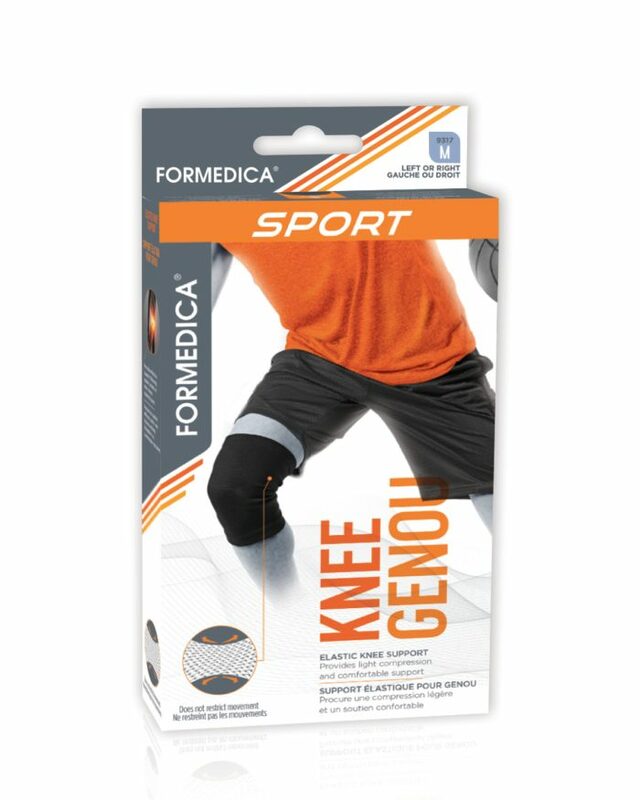 Position one or two compression pads on the affected side (the pads can be placed on either the medial or lateral side of the patella). Place the centre of the "X" knee support at the back of your knee. 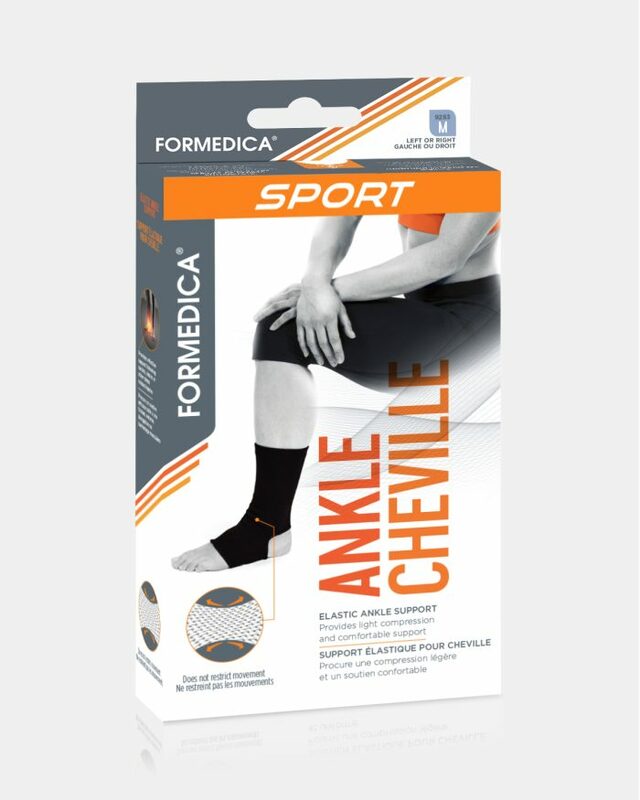 Wrap around your knee to the front and adjust the tension by properly attaching the Velcro® straps. Perforated neoprene covered with non-brushed nylon interior. 1/4 inch firm foam pads with Velcro®. Its wide waistband prevents roll up while leg straps keep support in place and provide proper fit. 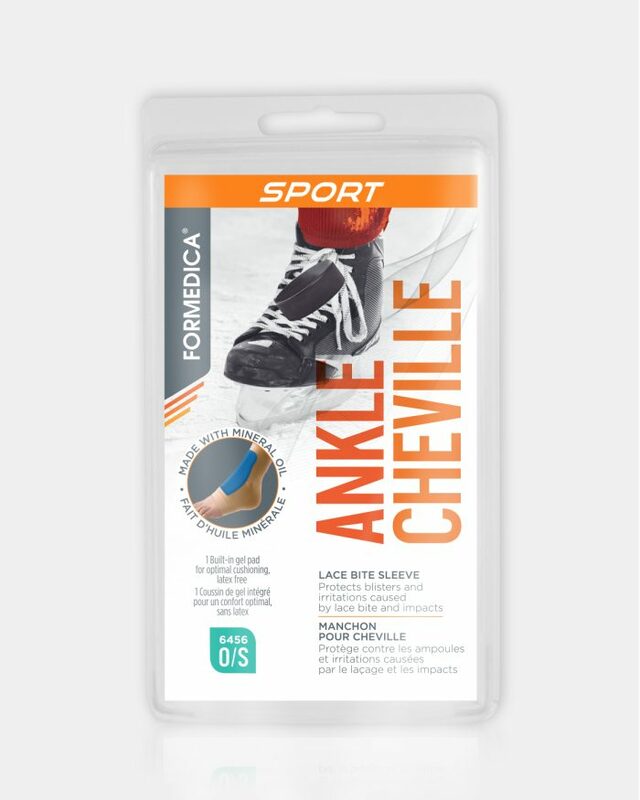 Put on the athletic support and attach the Velcro® closures. Adjust for comfort. Waistband and leg straps: elastic. Adjustment : Make sure the FORMEDICA logo is positioned at the top. Fasten support around the thigh using the middle Velcro® strap. Secure the upper and lower straps to control the level of compression. Adjust for comfort. Made of : Neoprene covered with brushed nylon and terry cloth interior. Cleaning : Wash by hand with mild soap and air dry. The Elastic Knee Support does not restrict movements and may be used during physical activity. Pull up the knee sleeve and adjust for comfort. 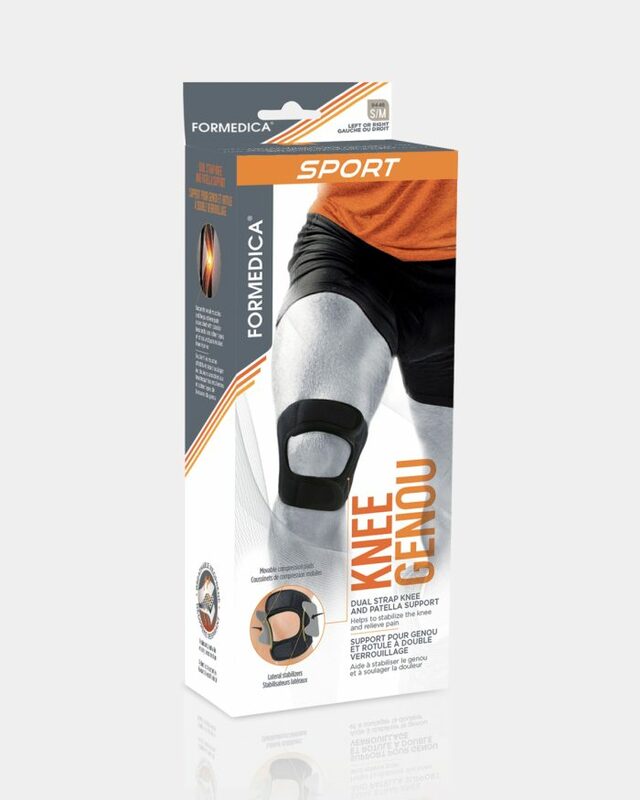 The Knee Support provides compression and heat to support weak knee muscles and joints following strains, sprains and other stress-related injuries. 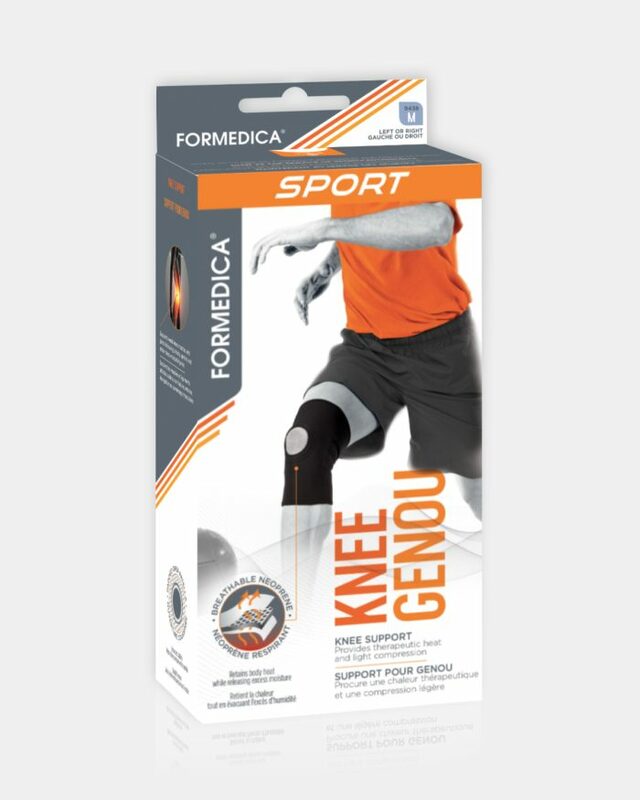 Pull up the knee support and make sure the opening is around the patella. Adjust for comfort. Neoprene covered with non-brushed nylon. 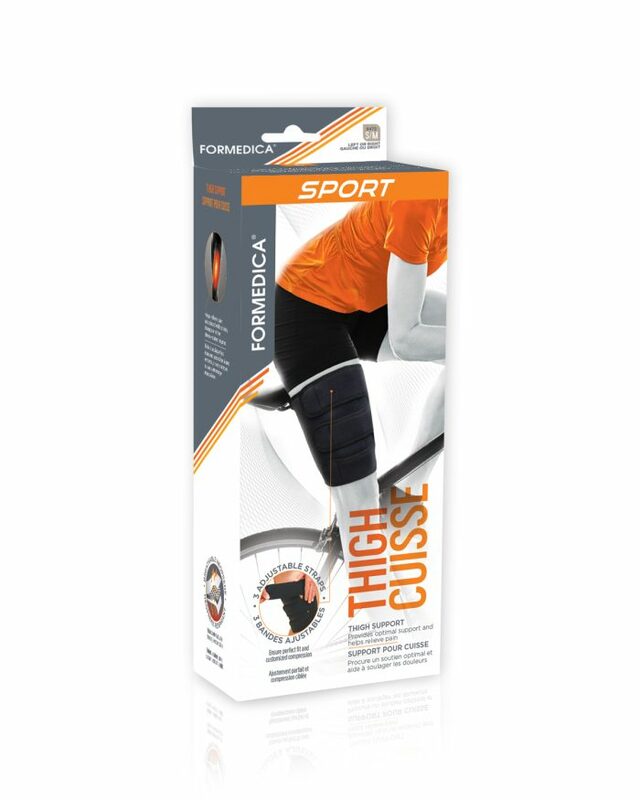 Adjustment : Make sure the FORMEDICA logo is positioned at the top. Align the middle seam with the back of the calf. 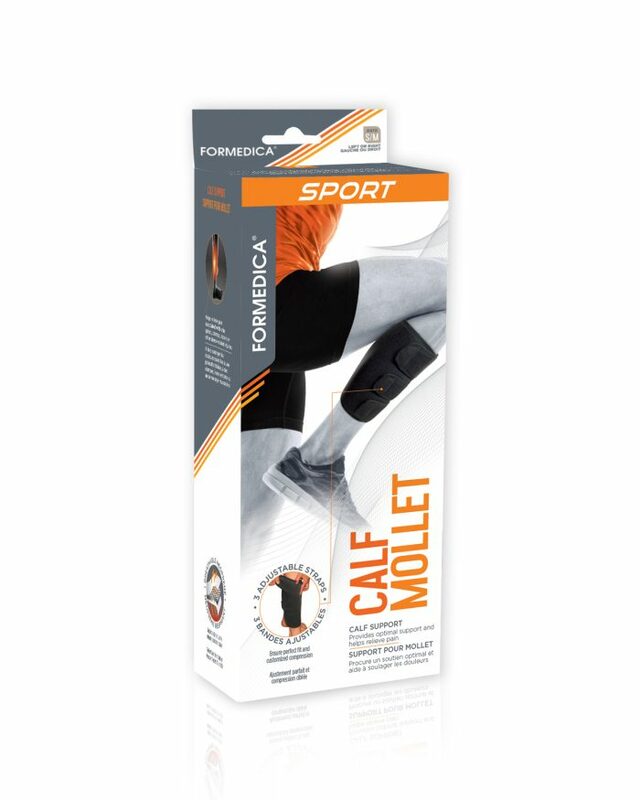 Fasten support around the calf using the middle Velcro® strap. Secure the upper and lower straps to control the level of compression. Made of : Neoprene covered with brushed nylon and terry cloth interior. Cleaning : Wash by hand with mild soap and air dry. It does not restrict movements and may be used during physical activity. 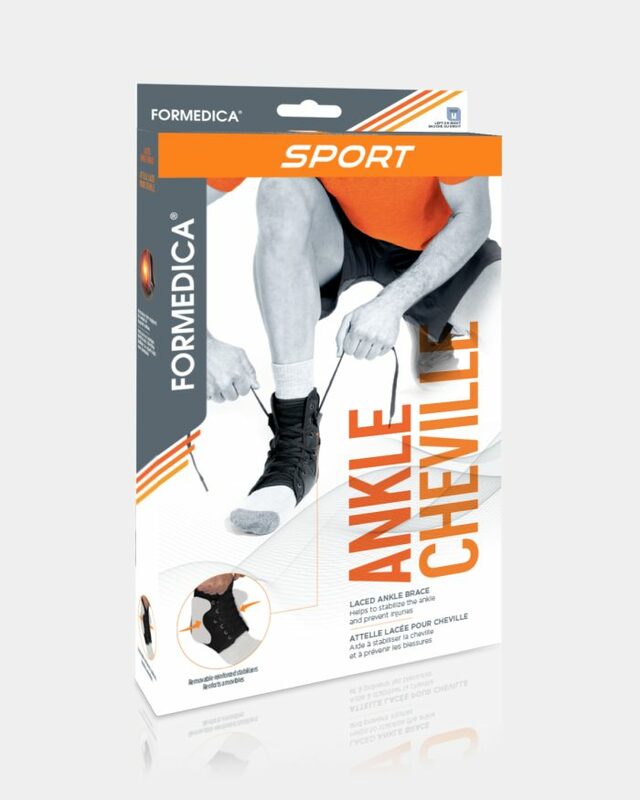 Pull up the ankle sleeve and adjust for comfort. 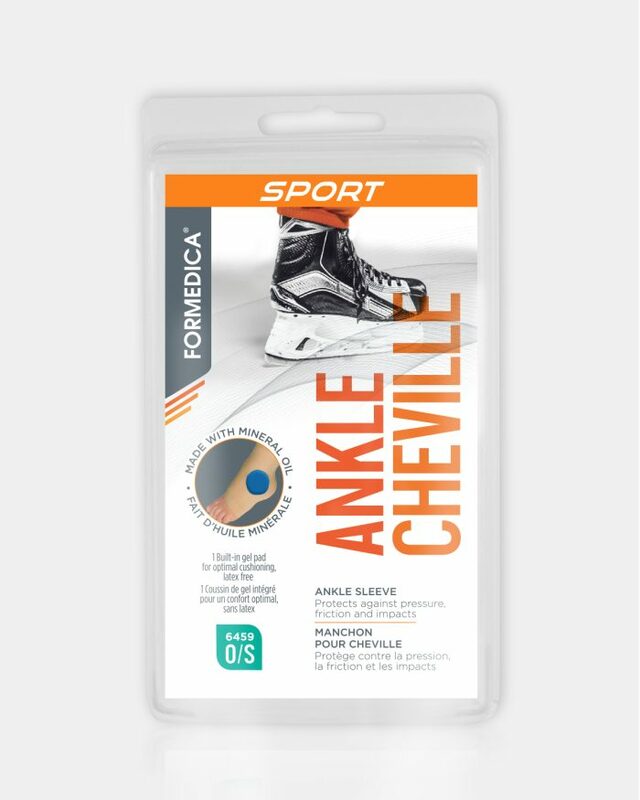 Adjustment : Slip product on, ensuring that the rectangular pad is placed on the front of the ankle and the contoured pad on the back. The gel pad should not go under the bottom of the heel. Remove product at least 3 to 4 hours daily to allow skin to breathe. Made of : Non-constructive nylon/lycra fabric. Medical grade mineral oil (USP) that dissipates onto the skin. Latex-free. Cleaning : Wash by hand with mild soap and air dry. Sprinkle with talcum powder when dry. 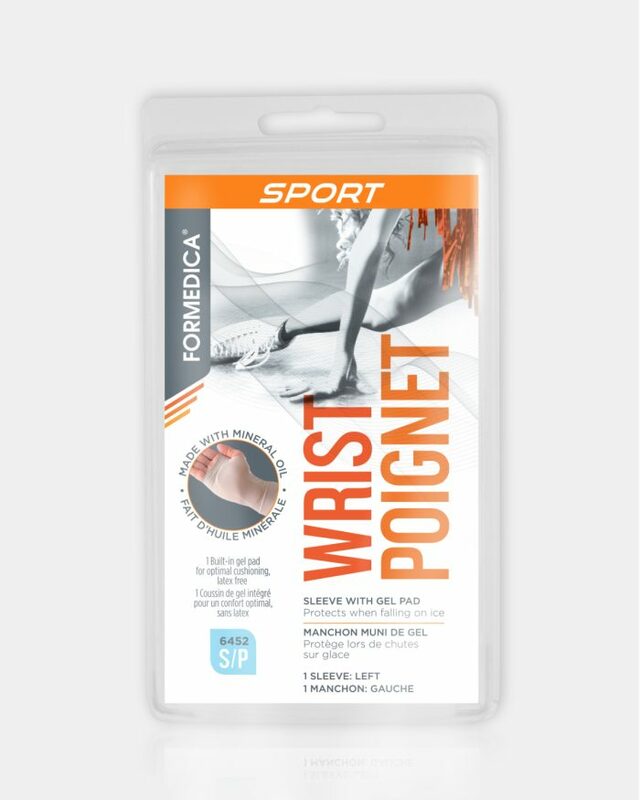 DESIGNED TO PROTECT THE WRIST AND THE PALM OF THE HAND WHEN FALLING ON ICE The FORMEDICA sleeve with gel pad can be used to protect the wrist and the palm of the hand as well as minimize the pain when falling on ice. With a medical grade mineral oil (USP) formulated gel pad that dissipates onto the skin, optimal comfort is assured. Slip sleeve over the palm, ensuring that the gel pad is in place. Remove product at least 3 to 4 hours daily to allow skin to breathe. Non-constructive nylon /lycra fabric. Medical grade mineral oil (USP) that dissipates onto the skin. Wash by hand with mild soap and air dry. Sprinkle with talcum powder when dry.